SkinViva Training’s Cheek Enhancement Course will train you in all aspects of this advanced procedure. We will share with you the essential artistic principles that will help you design treatments that fit each face using a simple 5 step assessment process designed by our Clinical Director, Dr Tim Pearce. We also teach you industry leading safety protocols to greatly limit the chances of your patients having unnecessary complications and side effects. Previous attendance on SkinViva Training’s Foundation Botox & Dermal Filler course is not required, but it is recommended in order to provide the core building blocks of experience in carrying out Dermal Filler procedures. Trainees attending this course can expect to leave being confident with Juvederm Voluma and Volift products from the long-lasting Vycross range. Establish confidence through practical experience and live demonstration for cheek enhancement. Provide refresher knowledge of facial anatomy with specific focus on the cheek area. 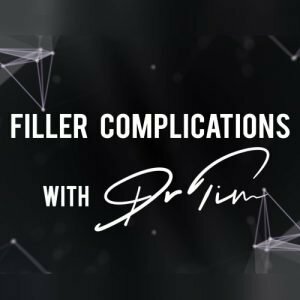 Highlight differences between the various brands of dermal fillers on the market that can be used. Teach our trainees how to give patients a natural looking result that provides an essential balance between delivering volume/fullness whilst enhancing the cheeks’ natural contours and shape. Hi, any dates will be published on this page. However, we have also forwarded your enquiry direct to the booking team, who are arranging courses all the time. If you’d like to discuss this further, please feel free to contact our team on 0161 850 2491 or email info@skinvivatraining.com. Hi there, could you let me know your next date for cheeks training? Hi, there is a Cheek Restoration & Enhancement course Thursday 12th July. At this point in time, there is one place left and the price is £795. After that, the next cheek restoration course is Saturday 1st September. If you were interested in the combined Lip & Cheek Enhancement course, there are quite a few dates over the summer. Please see https://www.skinvivatraining.com/training-courses/upcoming/ for our list of forthcoming dates with pricing and availability information. When is your next Cheek enhancement course? Hi, the next course is 9th June, but it is fully booked already. However, we are booking dates all the time, so we will ask the team to get in touch with you to discuss what is in the pipeline. I have a particular interest in the cheeks, jawline, and rhinoplasty. Is there a particular course that covers all 3? Or would i need to attend all separate courses? I live in Essex so would be better if i could travel up and do this over a 2 day period if possible? Hi, these are advanced treatments and so there is a course for each one. The best thing to do would be to get in touch with our team to see what course dates could accommodate you. We’re quite used to delegates travelling and we’re happy to advise on travel arrangements. Alternatively, you might consider one to one training for a more bespoke approach. To discuss your requirements further, please email info@skinvivatraining.com (please include your contact number), or else call direct on 0161 850 2491.